When a small vial arrives in her mailbox from "Lewis Carroll," Ayelet Waldman is ready to try anything. Her depression has become intolerable, severe and unmanageable; medication has failed to make a difference. Married with four children and a robust career, she "should" be happy, but instead her family and her work are suffering at the mercy of her mood disorder. 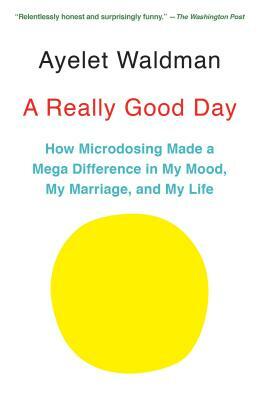 So she opens the vial, places two drops on her tongue, and becomes part of a burgeoning underground group of scientists and civilians successfully using therapeutic microdoses of LSD. As Waldman charts her experience over the course of a month, during which she achieved a newfound feeling of serenity, she also explores the history and mythology of LSD, the cutting-edge research into the drug, and the byzantine policies that control it. Drawing on her experience as a federal public defender, and as the mother of teenagers, and her research into the therapeutic value of psychedelics, Waldman has produced a book that is candid, revealing and completely enthralling.